The upcoming episode of Star Plus popular daily soap Ishqbaaz is gearing up for some interesting twist and drama.Shivaay and Anika had their major clash as Shivaay kidnaps Anika and forcefully gets married to her.Shivaay tells Anika that no one will marry her now and she will be Shivaay Singh Oberoi’s mistress and will suffer as Priyanka is suffering.Anika’s press conference dhamaka. Anika (Surbhi Chandna) faces many taunts by the neighbors when she returns home the next day post her marriage with Shivay. Shivaay makes Anika leave the house to take revenge. He disowns her after marriage. Anika gets shattered. She feels lost. The neighbors humiliate her and call her character bad. 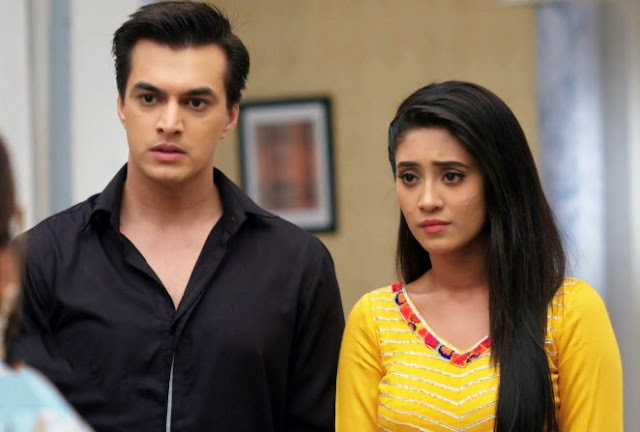 Nikhil too questions Anika’s character. He rages that she cheated her for marrying a rich man. Anika’s aunt too confirms that Anika has an affair with Shivay, as Shivay stated this in front of everyone. She reminds how Shivaay spoke about their affair and stopped Anika and Nikhil’s marriage to take her away from the mandap. She asks Anika (Surbhi Chandna) why did she come back if she married Shivay. She asks if Shivay is bored up and abandoned her. Gauri asks Anika not to bother about anyone’s words and come inside the house. Anika hears the neighbor’s bad comments and cries. Gauri becomes a protective shield for her sister. Aunt asks Anika to leave the house, as there is no place for her. Aunt provokes the neighbors further. The people ask Anika to leave from the locality, as she will spoil their daughters by her ill behavior. Gauri tries to save Anika, but aunt doesn’t deter. Omkara and Rudra learn about Shivay and Anika’s marriage. Omkara reaches the chawl to save Anika’s dignity. He takes a stand for Anika and shuts up aunt to put an end to her humiliating statements. Omkara and Gauri save Anika. Omkara decides to take Anika and Gauri home. 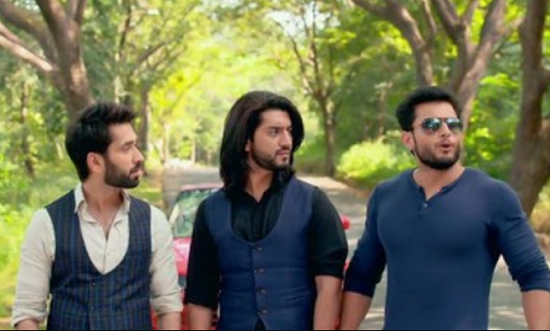 Omkara and Rudra Oberoi want Shivaay to accept Anika. Anika gets a strong support and is ready to prove herself to Shiavay. Anika is all shattered but gets infuriated seeing that what Shivaay (Nakuul Mehta) had done and will take shocking move.Anika will claim her right as Anika Shivay Singh Oberoi and calls media at Oberoi mansion to teach lesson to Shivaay.On Other side Anika gets ready as a bride as her day of the wedding finally comes, Gauri and Sahil are very excited and happy.Anika is also happy as she is going to get married to Nikhil, she goes to mandap for marrying Nikhil.Gauri tries to console Anika as she gets shattered post Nikhil breaks marriage with her,Anika’s happiness does not last for a long time as something happens because of which Nikhil breaks his marriage with her. Shivay (Nakuul Mehta) fills Anika’s hairline and gets married to her and thus had done this to take revenge from Anika.Shivaay now leaves Anika and tells her that she is a daughter of a mistress and will stay so and leaves her.Anika’s war against Shivaay,Anika returns back to her house and is shocked and Chachi bursts at Anika while Gauri asks her to tell truth.Anika reveals truth about what Shivaay did to her and Gauri decides to fight back against Shivaay but Anika stops her.Anika decides to fight for herself and teach lesson to Shivay and mark entry in Oberoi mansion claiming right of Shivaay’s wife. Anika gets shocked and tries to stop Nikhil but he does not stop and goes from there, Anika gets shattered. Will this open cold war amid Shivaay and Anika, what more dhamaka is to awaits next and how will Tia react to it ???? ?